The Liverpool Reggae movement was in full effect last weekend; from beginnings in the Kazimier garden, and a right old 2 day knees up at Constellations last year, in 2017 Positive Vibration completed it’s conversion to a full scale urban Reggae festival. The Baltic Triangle had a pedestrianised zone with live music and DJs outdoors and indoors at: Constellations, Hangar 34, District and New Bird Street. 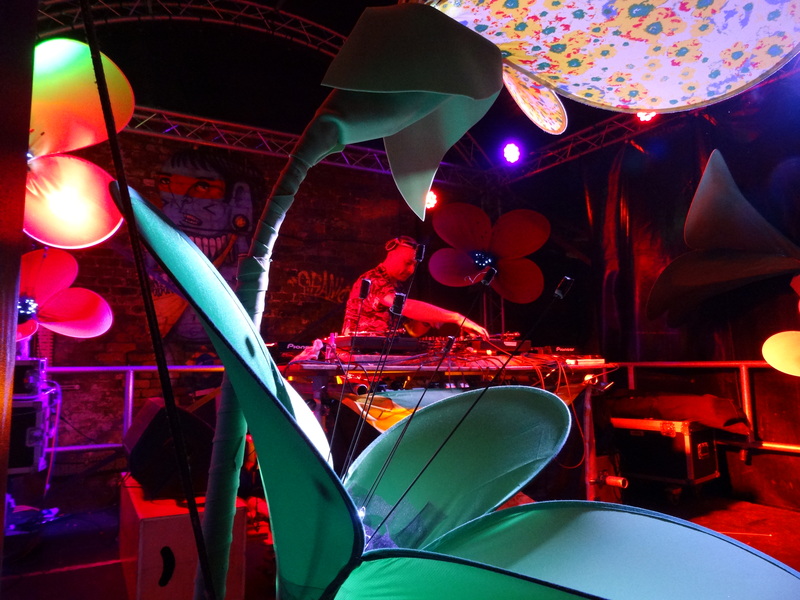 The Funkdub crew came for the whole weekend and were immediately impressed by the layout and atmosphere, the air was suffused with bass and a boulevard of stalls greets you upon entry, it may be an obvious point, but the event instantly felt like a festival. A shout out must go to the International Reggae Poster Contest, the standard is absolutely outstanding this year, with some truly striking images, very well worth checking out. The first act we caught was Bristol legend, DJ Andy Smith, a longstanding favourite (Trojan Document never knowingly leaves the Funkdub record box), it’s fair to say he was nicing up the place in fine style. Next up was another favourite, Vibronics, coming straight outta Leicester, this was a barn storming, bowel troubling show, with 2 MCs percussion and crisp heavyweight bass, the crowd were rightfully worked into a fervour by the end. Round the corner at District Jah Shaka had a great crowd lapping up some deep deep dubs. There was time to catch the excellent Reggae Roast Crew and MC Brother Culture before time and tides caught up with night one. Saturday had an even bigger line up, first up when we landed at tea time was Danny Fitzgerald playing some terrific Calypso business on the New Bird Stage. A word should be said about this area, a great addition with foodstalls, a cocktail bar and local selectors keeping things warm all weekend long. We played a set at teatime on saturday and it was tremendous fun, the excellent Schmame Industries followed us and kept things rolling a treat. The only downside of the set was that it clashed with past Funkdub guests The New Town Kings, and a need for sustenance meant we missed The Selecter, no doubt a highlight of the weekend, it’s a testament to the line up and the atmosphere that this didn’t matter at all. We did manage to catch the end of an energetic set from Backbeat Sound System, (and a shout out to the Ital food stall, and to the Curry Goat stall as well), and rolled in to catch the Hempolics. This was one of the best sets of the weekend, a modern UK roots band at the top of their game. At this point the line-up just kept giving, Lovers Rock legend Dennis Bovell in the Constellations garden, a truly memorable set from dub legend Scientist on a monumental soundsystem at Hangar 34, over at District, long term friends of ours, Pama International were running the Trojan takeover, with a brand new line up they’re sounding as awesome as ever. Prince Fatty & Horseman + the Soul Jazz DJs kept up the fire at Constellations and there was time to catch up with one more favourite, Canadian master producer Dubmatix. MC J-Man replaced the unwell Charlie P in very fine style indeed, a great finish to a great festival with a truly friendly vibe and fantastic music all weekend long. Huge big ups to Rory and the team, they showed vision and real ambition, and it paid off massively. Roll on Positive Vibration 2018.